This statistic displays the trend of individuals who drink more than double the recommended daily amount of alcohol (i.e. 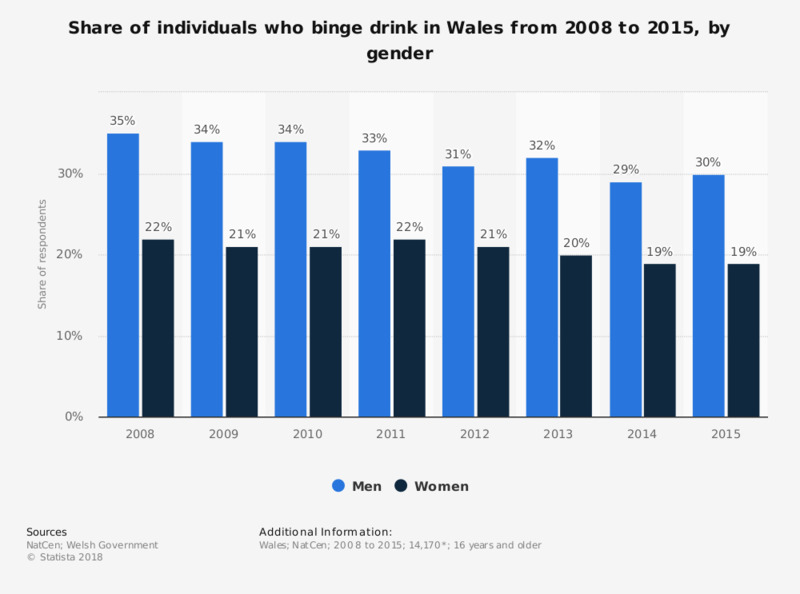 binge drinking), by gender in Wales from 2008 to 2015. In 2011, 33 percent of men and 22 percent of women reported to binge drink. * Unweighted bases = n (2008)= 13,313, n (2009)= 16,018, n (2010)= 15,999, n (2011)= 16,058, n (2012)= 15,687, n (2013)= 15,007. The source adds:" bases vary, those shown are for the whole sample."